A hefty dose of Nintendo speculation in one convenient place. Here at Modojo, portable systems and games are the primary focus, but we also enjoy playing on consoles. In fact, we just cracked the shrink-wrap on Lego Pirates of the Caribbean for Xbox 360. There goes the weekend. That said, we love new hardware, especially the wealth of speculation leading up to the grand unveiling. 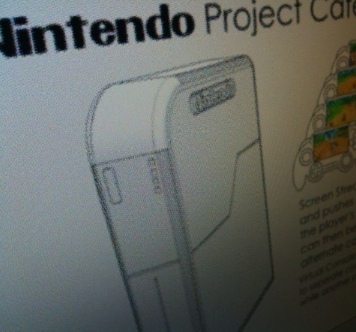 Case in point, Project Cafe, the supposed codename for Nintendo's upcoming system. Over the past month, we've seen all sorts of rumors, none of which the publisher officially confirmed. A few sound reasonable, while others appear totally bizarre. On that note, and since there's a ton of stuff on the Internet, we grabbed every rumor we could find and put them all in this article. As a side note, mark June 7 on your calendar. That's when Nintendo will give everyone a front row seat to its E3 press conference. 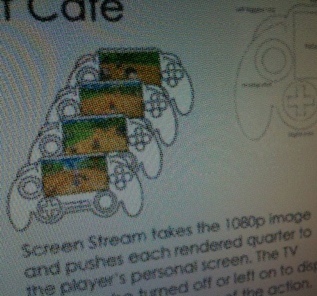 In addition, the system will be playable at E3, and debut sometime in 2012. -Project Cafe is but one codename. We've also seen Wii 2, Wii HD, Nintendo Stream and Nintendo Feel. -Backwards compatible with GameCube and Wii software, thus retaining motion control technology. -Powered by a custom IBM PowerPC with three cores. -Significantly more powerful than Xbox 360 and PlayStation 3. -Eight gigabytes of internal flash memory. -Uses cartridges in some fashion, either within the system or the controller. -Controller has a built-in 6.2-inch touch screen. -Touch screen may include haptics technology, allowing gamers to "feel" their video games. -Controller will also include two analog sticks, as well as triggers and face buttons. -Controller will have a front facing camera and gyroscope. -Controller takes rechargeable lithium ion batteries. -You can stream games from the system to the controller. 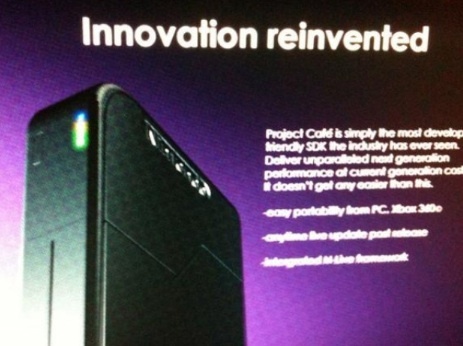 -Console resembles a modernized Super Nintendo. -Games include Pikmin 3, Endless Ocean 3, StarFox, Mario, Tekken Tag Tournament 2, Monster Hunter, Resident Evil, Red Steel 3, Super Smash Bros. 4, Pokemon, Final Fantasy XV, Metal Gear and Grand Theft Auto V.
-No built in hard drive. Accepts SD cards. -Nintendo may launch the system without first party games. -Developers will be able to update games post release (AKA DLC, patches).